Last year, for the fifth consecutive year, ŠKODA delivered more than a million cars to customers. Five, then, seemed perfect to feature first in the new ŠKODA Storyboard series “Number of the Month”. First up in this series is 5. 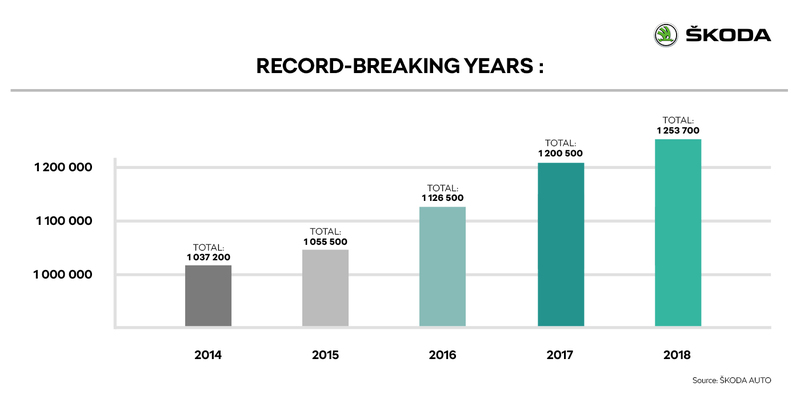 Last year was the fifth year in a row that ŠKODA not only delivered over a million vehicles, but also broke its sales record. Worldwide customer deliveries came to 1,253,700 cars in 2018, up 4.4% on 2017. 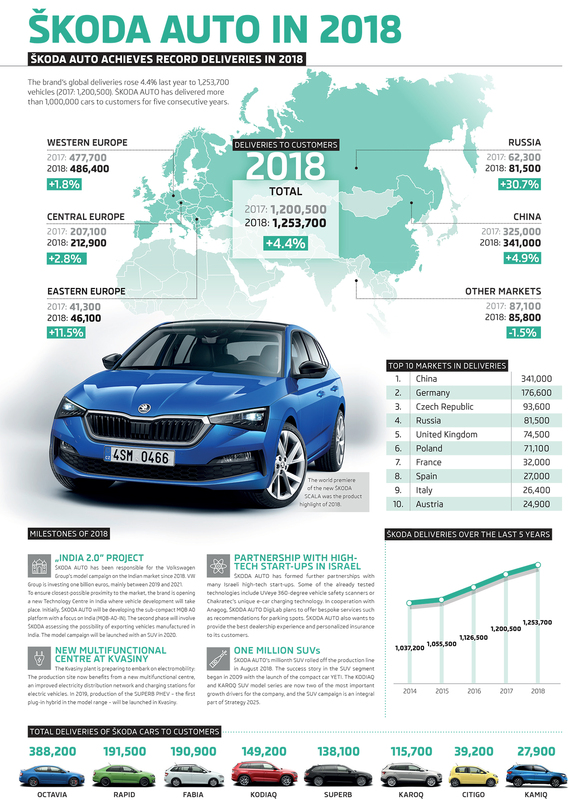 In other words, 53,200 ŠKODA cars more were sold in 2018 than in the previous year. Besides the Czech Republic, ŠKODA cars are also made in China, Russia, Slovakia, Algeria and India, mostly through partnerships within the Volkswagen Group. 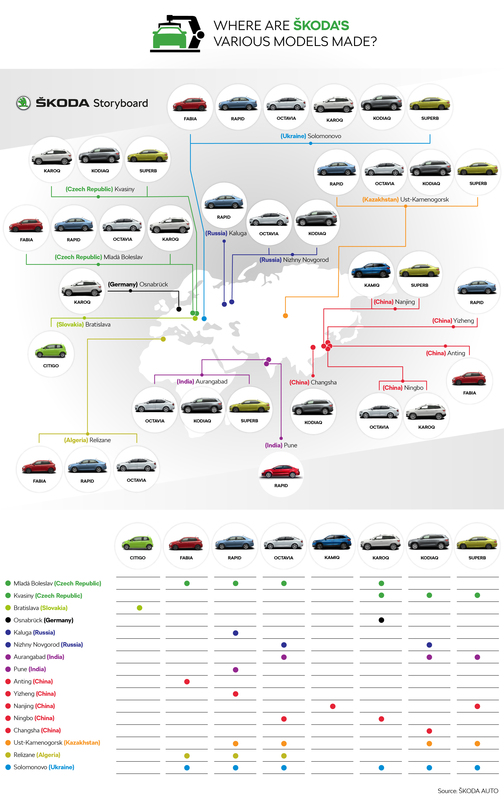 ŠKODA cars also make their way off local partners’ production lines in Ukraine and Kazakhstan.